China gold seizure: Ma Chaoqun also allegedly found with cash, deeds. 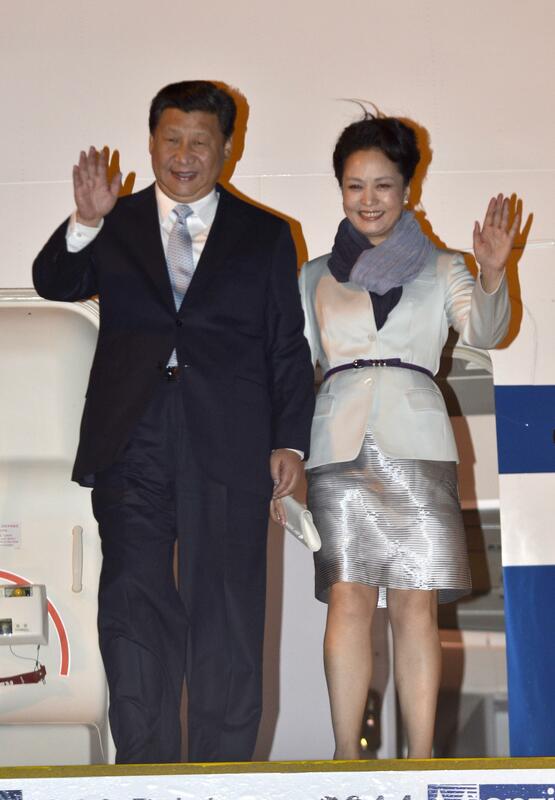 Xi with his wife, Peng Liyuan, this week. China’s anti-graft watchdog has discovered 37 kg (82 lbs) of gold, documents for 68 houses and 120 million yuan ($19.6 million) in cash in the home of a Communist Party official who is being investigated for corruption, state media said. This isn’t the haul from the bust of a gang headquarters, this is the haul from one guy’s house—80 pounds of gold, $20 million in cash, and the deeds to 68 (68!) houses. Ma Chaoqun was (allegedly) very good at graft (until he wasn’t).